The goodies just keep on coming out of this year’s Google I/O conference. Developers and technology aficionados will get to spend the rest of the week meeting Google engineers and dropping in on a variety of workshops designed to introduce the future of technology. However, the opening keynote is generally the place where the magic happens, and yet again it hasn’t disappointed with the introduction of Google Allo and Google Duo, two new apps coming to iOS and Android this summer. If there’s one thing that is immediately evident from this year’s I/O conference, it’s that Google is getting serious about communications. The latest example of that focus comes in the form of Google Allo, a smart messaging application that ships with intelligent learning algorithms, and is powered by the recently announced Google Assistant technology. 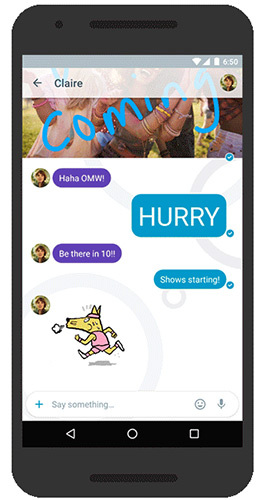 On a very basic level, Allo gives users the ability to communicate in real-time like most instant messaging type applications. There’s text-based chat, animated graphics and varying sized text to make messages fun and unique. Allo also packs Smart Suggestions, which only become smarter as your use of the messaging app progresses. There’s the ability to enlist the help of Google to communicate with additional power. Users will be able to interact with Google Assistant to instantly plan events, purchase things directly from Google, and even think of things to say to one another. Google is generally considered top-dog when it comes to getting information and presenting it to the user, with Allo being yet another bow in the company’s consumer-facing arsenal. The app for iOS and Android has been unveiled today with a launch expected this summer. The gifts just keep on coming this summer from Google and its engineering teams. In addition to introducing Allo above, Google has also used I/O 2016 to announce a new simple video calling app called Duo. In a world where video calling services seem to be engineered to be overly complex and difficult, Duo takes that pain away by being super simple and offering a mobile-only service that uses the user’s mobile telephone number as a unique identifier. In an effort to make the whole experience as streamlined and fast as possible, Google seems to have forgotten about introducing a user-interface for users to interact with. On launch, you get an immediate view of yourself from the front-facing camera. There’s then a bunch of cylindrical icons that each represent a contact. Tapping on one of those icons instantly invokes a video call with that person. The app also packs a neat Knock Knock feature which lets users preview a live video feed of the caller before answering the call. Calls will be in 720p with HD audio, but will automatically adjust video quality depending on the network strength. And there you have it. A super simple, super-efficient video calling experience from Google that has been built to be insanely fast. Both Allo and Duo will make their way into the public domain this summer for iOS and Android. iOS users already have this. It’s called iMessage and FaceTime. To message people on other platforms we use whatsapp. There is no need for any other messaging service. So Apple should do away with iMessage? And they all have Skype. Ah no. Apple should develop a version for Android at least. Google ruthless reply to Siri iMessage and FaceTime. It will eliminate Apple in its own yard. Apple stands no chance against the mighty Google . Allo and duo technology is far superior than the restrictions Apple imposes on its stock apps. Google rules all the way. I think Apple shouldn’t waste time in developing that. Whatapps, Viber, Skype and Hangouts are adequate enough. Instead of vesting in another messaging app Google should refine what it already has. Two apps? Why couldn’t Google just make one app which would consist of both these features? Right! Why not just add the Allo features to the stock messaging app?!? 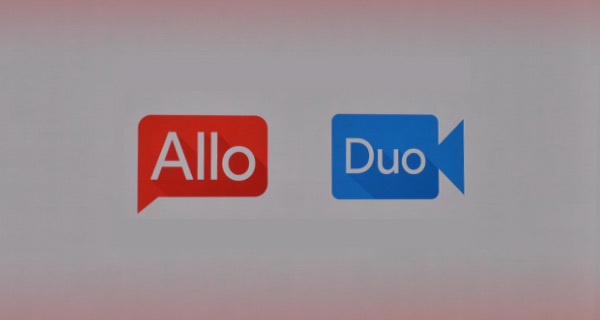 Why can’t they just unify Allo and Duo into1 single app?? Nice to see its cross platform atleast. Looking forward to “DUOing” from my iPhone.